It is so hard to believe that in just a few short weeks, our little ones will be hearing the school bell ring once again as summer draws to an end! With that being said, many parents are more than likely already planning out their back to school shopping lists and getting ready to hit their nearest store to collect the latest and best back to school deals! Here, we will be exploring some of the Top Rated Back to School Supplies to make sure that your kids head back to school ready to learn and eager to take on the new school year! 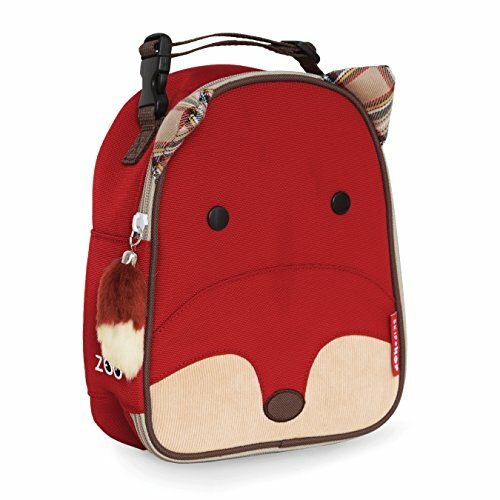 Pack has a large interior space with a smaller interior pocket. Exterior has a large front pocket and two side pockets. Padded back panel and shoulder straps. Adorable Robot design, your kid would love it! Not only is this super cute Dino (and other designs!) 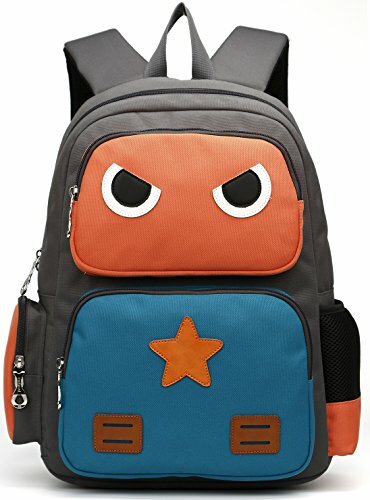 backpack incredibly reliable it is highly versatile as well! Offering your little one the ability to carry everything, including his lunch box, from school to home with ease and the utmost comfort. ★Three colors, pink, rose, black for your choice. 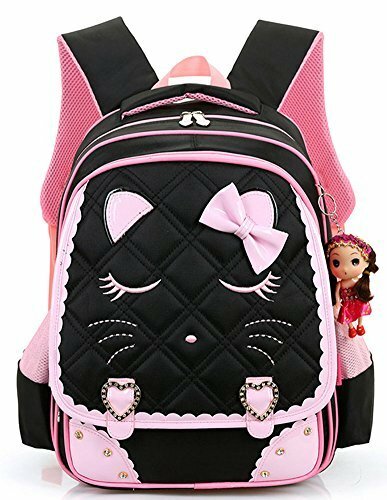 This backpack it the ultimate choice for your little girl. It offers adjustable padded shoulder straps 3 conveniently large compartments that include multiple pockets and storage and also an added padded tablet compartment. The backpack is also superbly reinforced and even water resistant. 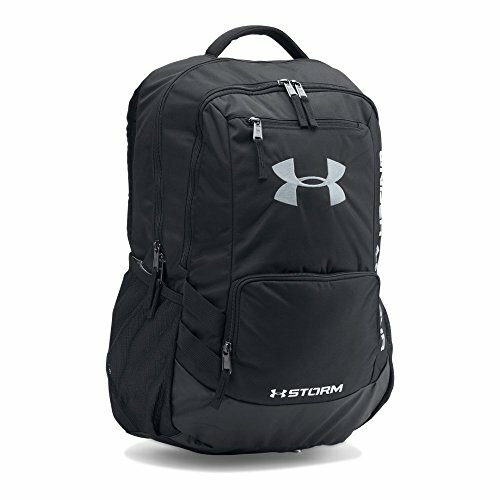 Whether your son is hitting the field or the library, the UA Storm technology of this incredibly designed backpack delivers all the element-battling, highly water-resistant finish and tough, abrasion-resistant bottom panel that your son will need to last through the year. It evens offers a super soft, Tricot lined laptop sleeve that holds up to a 15″ laptop! 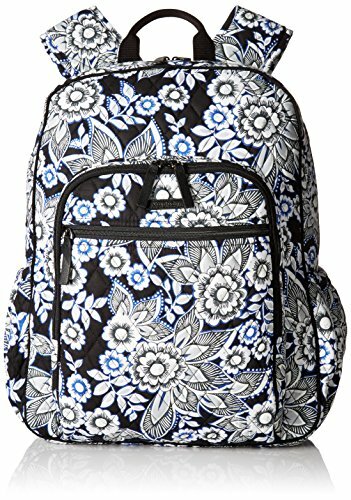 This Vera Bradley colorfully printed backpack is made up of completely washable fabric that boasts a top handle and padded adjustable shoulder straps. Not to mention also features a front zip pocket with wide trim detail, a second pocket with full zip closure and awesome interior organization pockets! The main compartment additionally features two slip pockets, two pen slips and a clear window to your teen’s student ID or driver’s license! Measures approx. 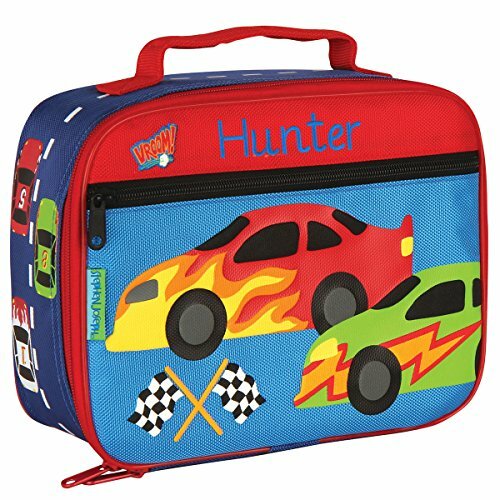 10" x 7.5" x 3"
Stephen Joseph Classic Lunch Boxes come in a wide array of designs that are perfect for your school-aged children. They also feature an inner mesh pocket, Velcro strap to keep drinks in place, and are fully insulated to ensure the food kept inside stays the right temperature until lunch time! The friendly faces and matching zipper pulls of Zoo Lunchies make lunchtime fun for your little one! Perfect sized these super soft bags have a roomy main compartment that holds sandwiches, snacks, drinks, and so much more. They are also insulated and wipe clean to keeps food and drinks cold, plus an inside mesh pocket holds lunch money, an ice pack or utensils. PackIt is the first freezable (and foldable!) 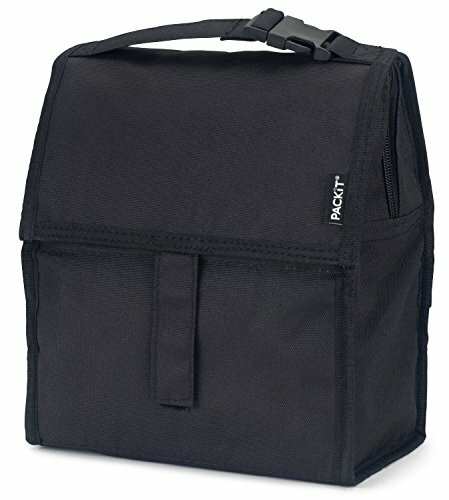 lunch bag that keeps anything you pack cooler, longer. Every PackIt comes in a multitude of designs for both boys and girls and offer a patented freezable gel built permanently into its lining and the entire bag freezes to keep contents cool. The gel lined walls chill a meal and 12-ounce drink for up to 10 hours; eliminating the need for melting ice or bulky gel packs. PackIt keeps food cooler five times longer than other coolers which allows you to pack healthy foods such as yogurt, milk, fruits and veggies. And uneaten food returns home still fresh and goes back into the refrigerator for the next day, which reduces waste and saves you a ton of money. 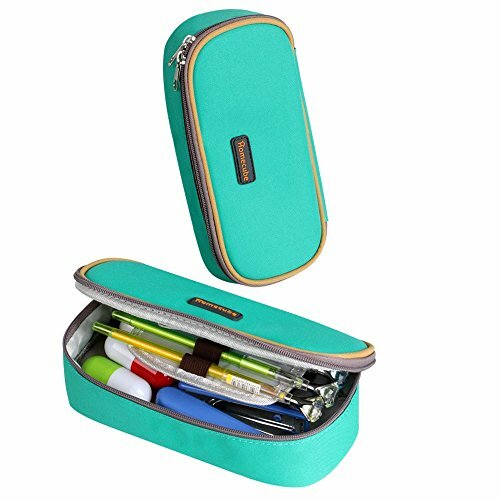 PENCIL CASE WITH COMPARTMENTS - VERSATILE AND MULTI-FUNCTIONAL PENCIL HOLDER FOR TEEN GIRLS, BOYS AND ADULTS - You can store, organize and carry 72 colored pencils, or water color pencils and so much more. The interior zippered pocket is roomy enough for small notepads, eraser, paper clips, etc. SMART DESIGN - The pencil bag has three double-sided flaps/sleeves for maximum storage space. Each sleeve holds 12 pencils and so easy to group all the colors and access the right one instantly. SECURE AND PROTECT YOUR PRECIOUS COLLECTION - The elastic strap holds each pencil or pen securely and prevent them from falling out or being stepped on. The zipper in the back pouch ensures that nothing slips out during transit. The right tool to safeguard your expensive collection. TRAVEL WITH EASE AND STYLE - Lightweight and compact, you can unzip the pencil wrap when you are in the mood for coloring the Enchanted Forest. After you are done, simply zip it up and toss it in your book bag or carryon. 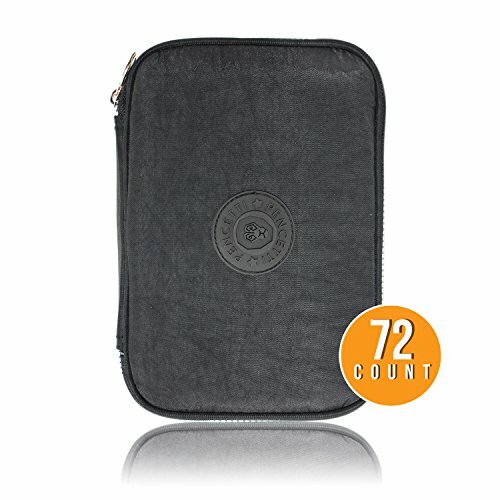 EXCEPTIONAL VALUE - You get almost 3x in storage (72 vs. 26 pencil slots in a similar pencil case on the market) for less. A bonus pen pouch valued at $5.97 is included as our way of saying thanks. Dimensions, Weight & Color: 9.0"L x 6.5" x 2.0 "D; 8.96 OZ, Black. Perfect gift for Graduation, Birthday, Back to School and Christmas stocking stuffers! Order yours now! The smart and lightweight Pencetti Deluxe Pencil Case is the perfect solution for organizing all your child’s pencils, pens, and even art supplies with convenient to use 72 elastic loops. The compact design offers maximum storage space and even has 6 compartmentalized sleeves on three double-sided flaps to make it simple to sort pencils and gel pens for an easy grab! NICE SHAPE: Rectangular shape,longer length,fits longer pencils or longer items,convenient and practical, with beautiful bright loved colors. BIG CAPACITY: Lots of room, fits up max to 45 pens and pencils as well as small items and gadgets,great for use and looks nice. CENTER FLAP: Utilized to put your most used writing instruments for quick access, as well as your favorite pencils, markers and more. MESH POCKET: Keep important small notes, cards, and tickets in an easy-to-view compartment. HIGH QUALITY: 100% brand new canvas, made sturdy with a strong zipper, durable for quality guaranteed. Inside the Homecube Big Capacity Pencil Case, you will take note of the abundance of compartments! The interior flap also includes a mesh pocket to secure paper clips and bookmark clips. And below you will find a note compartment, which is the perfect spot to hide student ID cards or even secret notes! In the center, you will find a 5-slot pencil holder, while the main compartment can store up to 45 pens or pencils, and even offers a flip up compartment for your child or teen to store their erasers or personal stapler.